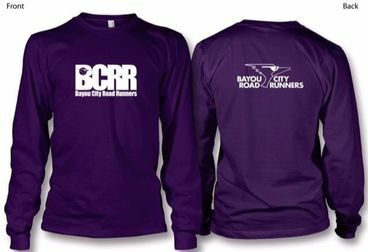 Purple BCRR Tech Shirts just like the pros wear! Email the Haberdashery to arrange an order. 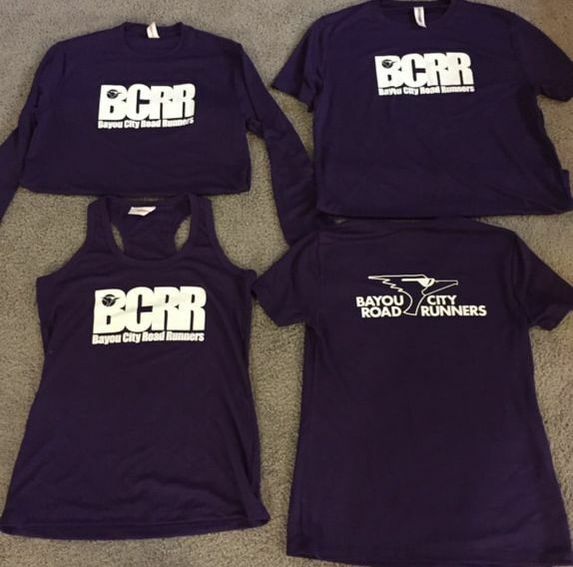 BCRR shirt styles include long sleeve, short sleeve and singlet (in men's and women's sizes). 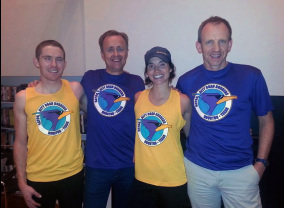 Merchandise is often available at the "Sunday long run" in Memorial Park. However specific sizes and style availability may be limited. See any board member for details, or email the Haberdashery﻿. Look like the cool kids! now ​available with a more breathable logo imprint.